One of the secrets of a successful pie is the crust: with Les Naturels baking pie dish, get a beautiful crispy, non-stick, well baked crust! No need to add anything on the pan before pouring the dough. 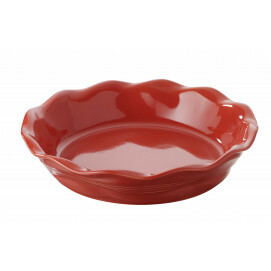 This pie dish is perfect for all type of pies and tarts. Nice and deep, the porcelain makes it naturally non-stick, easy to wash and resistant to oven, microwave and regrigerator. Small handles allow an easy grip. Like in the rest of the line, the pie pan comes in a nice giftbox! Les naturels is a collection specially designed for pastry and baking! 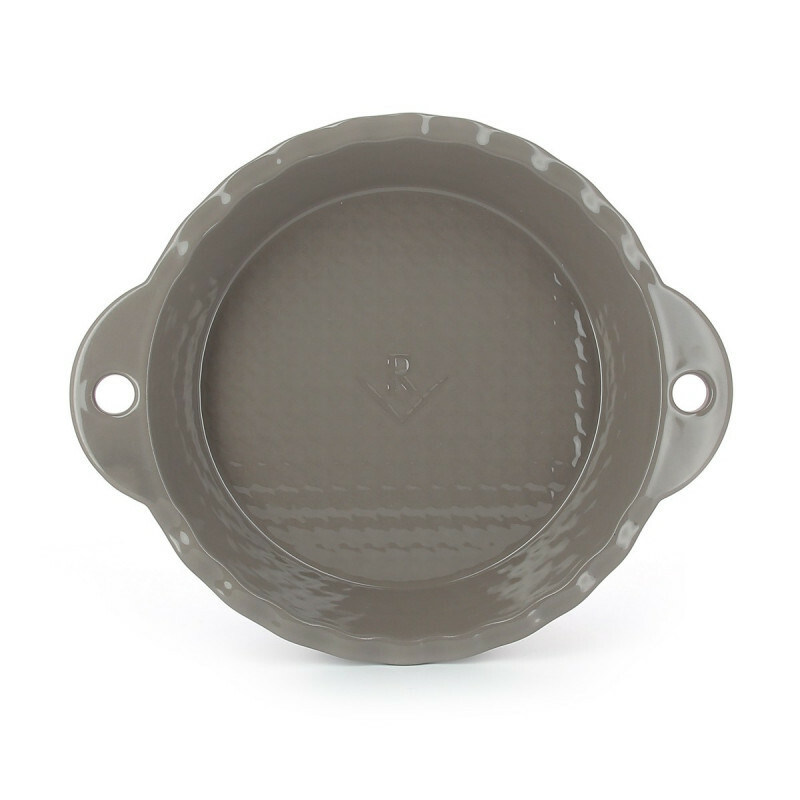 All pieces come in creamy white or sesame grey color and they have a beautiful hound’s-tooth finish that reinforces the natural non-stick characteristic of the cake pans. Made of culinary porcelain, a noble and healthy material, molded and glazed in Revol’s factory, in the heart of St-Uze, each dish is suitable to make homemade pies, sumptuous clafoutis, sweet or savory cakes, moist madeleines, airy soufflés: seven different dishes to execute delicious recipes that have a traditional feel in a high-performing material.